Available for all A1, A2, A3, and A4 VW's these custom built housings will allow you to maximize the potential of your dampeners. 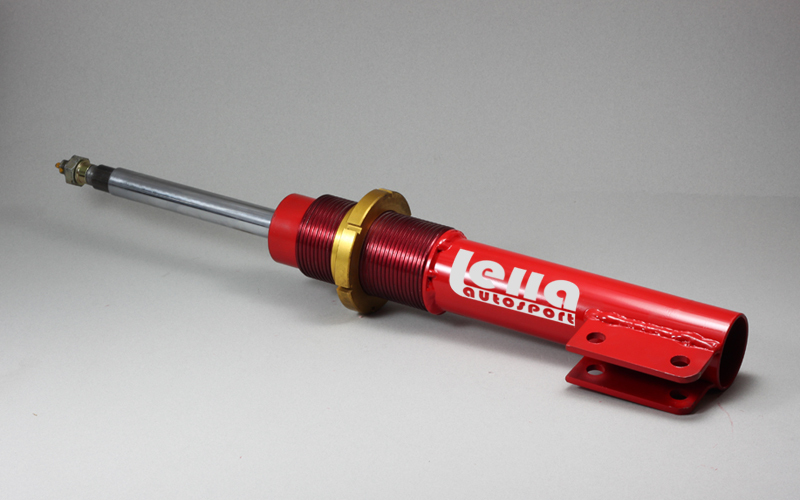 When purchasing high end dampeners such as the Koni 8611 series, they do not include the strut housings, only the insert themselves. One option is to use your OEM housings and have them shortened to accommodate the shortened inserts(we offer this service too). Although much cheaper, shortening your housings does not always allow the dampeners to operate at their maximum performance. In order to receive the maximum performance from your dampeners the piston/shaft need to have adequate travel to compress and rebound without bottoming or topping out, both of which both can cause damage. Majority of the time when using shortened OEM housings, the shaft of the dampener will be almost fully extended, potentially weakening the beam strength and also not providing adequate suspension droop which may cause excess wheel spin. We will build these housings specifically for your car and ride height so your dampeners will have adequate compression and rebound travel. By maximizing the compression travel, you will avoid the risk of bottoming out and damaging your struts when driving over berms/curbs. By maximizing the rebound travel, when coming down from going over a berm/curb your suspension will have adequate length to drop down and allow the wheel to maintain contact with the track surface, resulting in less chance of wheel spin. We will also give you the option of raising the spring perches higher up, so that you can use a shorter spring, and avoid having your tires rub on the springs or spring perches. On the A1, A2, and A3 cars we can also alter the length of the mounting tabs, so that when running wide tires/rims, they will not rub on the strut hosings. We can also alter the bolt holes to increase or decrease camber. Stage 3: Pair of housings with threaded spring perches and Koni 8611 inserts. We can also provide springs and upper spring hats if needed. Once you have ordered your housings, we will setup a time when we can discuss your needs for your housings. Once all your information has been received the housings will typically be shipped within two weeks.